Register Here! | 2019 Week at a Glance | 2019 Schedule of Events Coming Soon! Neel Brown, an accomplished singer and multi-instrumentalist, has played the Bluebird Café in Nashville, the Olympics in Atlanta, and countless places in the Washington, DC, capital region. He now enjoys picking and singing in living rooms and the occasional local bluegrass gig with the band Only Lonesome. Neel makes his home in Arlington, Virginia, where he runs an advocacy communications company. Mary Burdette has performed at bluegrass festivals throughout the United States, Canada, and Europe with Skip Gorman, Tom Sauber, Patrick Sauber, and Ruthie Dornfeld, and at cowboy poetry gatherings around the country. Her bass playing can be heard on several recordings, and on the soundtrack of Ken Burns’ PBS documentary Lewis and Clark: Journey of the Corps of Discovery. Mary is Assistant Director of the Grey Fox Bluegrass Festival, and an active member of the International Bluegrass Music Association (IBMA) and Leadership Bluegrass Alumni Association. Ira has taught at numerous music camps and festival workshops. 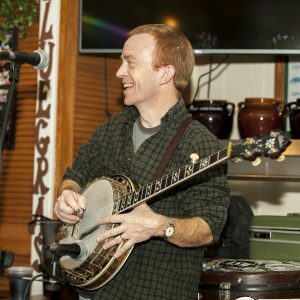 A frequent contributor to Bluegrass Unlimited and Banjo NewsLetter, he has lectured on bluegrass for the Smithsonian Associates, and also delivered papers at the 2005 and 2017 Bluegrass Music Symposia. In 1993 Ira was a one-day winner on Jeopardy. This class is intended for those of you who are relatively new to playing the banjo. You may have had a few lessons, learned a few rolls. You’re comfortable making two-finger chords and maybe even some three-finger chords. You’ve learned some rolls and chords from tablature and would like to start understanding what these mean. Or maybe you have been playing guitar for quite a while and have always wanted to play the banjo. Though all are welcome, this class will assume that you have spent at least some time getting to know your banjo a little bit. I will help you get to know your instrument and the basic ideas behind playing bluegrass-style banjo. My goal for this class is to take as much of the mystery out of as this as I can in the time we have. I will provide handouts, tablature and photos of various hand positions for reference. I will also video-record the main points of what we will cover beforehand so you will have that at your disposal after the camp. Please feel free to bring any and all tools that can help you. Mark Delaney started playing the banjo at the age of 10 under the guidance of his grandfather who was an accomplished banjo player in his own right. Mark has been playing in bands, performing on stage and recording since the age of 14. He has toured nationally and internationally with artists and groups such as the Country Gentlemen, Frank Wakefield and the Legends of the Potomac and currently holds down the banjo spot with Danny Paisley and the Southern Grass. Mark has taught at Common Ground on the Hill, Banjo Camp North and various workshops over the years. He released a solo project, Sidecar, in 2009 and co-produced 2014’s Patuxent Banjo Project. In this class we will spend time primarily on developing improvisational skills, learning tunes with an emphasis on expanding stylistically as players, and tips and tricks for tasteful backup. This class is geared towards students who can comfortably play several tunes at moderate tempos and know their D and F shape vamp chords. With an intent to use the banjo as a medium of personal expression, Furtado moves through varied modes of musical treatments. Although she’s known mainly known for her work as the banjo player for Chris Jones and the Night Drivers, she has a long history with her banjo. Born and raised in Front Royal, Virginia, Gina began touring up and down the east coast in her tween years with her siblings, earning countless ribbons from fiddlers conventions, a strong reputation in the regional bluegrass scene, and a stamp from Bluegrass Today as “absurdly talented”. She later played in a number of regional acts (Blue Light Special, New Girls Nite Out, On the Run, Bud’s Collective) and made her international touring exposure with Chris Jones and the Night Drivers soon after joining the group. She is sought after as a teacher privately and at camps across the country. Her album, True Colors, was released in September 2017 and debuted at #13 on Billboard‘s bluegrass chart, and had two #1 songs on Bluegrass Today’s charts! Gina was featured on the cover of Banjo NewsLetter’s December 2017 issue, and her original tune “Saylor’s Creek” was printed in that same issue. 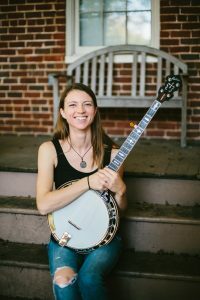 She was a nominee for the 2018 International Bluegrass Music Association’s Banjo Player of the Year award. Welcome to the class! I want you to challenge yourself this week as you apply your skills to everything from revisiting the fundamentals to writing your own banjo instrumental. You already have the tools you need to move out of your comfort zone and to play old things in new ways. It’ll be my job to encourage you to keep doing that for the entire time – both in class and when you’re jamming here – and to inspire you to take your new-found enthusiasm for adventure home with you at the end of the week. I’d like you to explore aspects of your playing that you don’t usually visit when you’re practicing at home by yourself or playing music with others. Let’s make this week in the Advanced Banjo class at Augusta a “What If I Tried It This Way?” approach. Each one of you will write a tune as we progress through the week. Other topics I plan to cover include playing backup and taking breaks in the C chord and D chord positions, playing up-the-neck solos, playing in 3/4 time, rolling down-the-neck backup as you would hear on a Jimmy Martin recording; all of my playing is based in the Scruggs style rather than melodic style. The most important aspect of your playing that I want to cover is to see that you have the necessary listening skills to play some version of a banjo break to nearly any bluegrass song you hear on a recording or in a jam session. You don’t need to be tied to tablature to play your instrument. Before July 4, please send me (adams.tom@comcast.net) a list of 3 topics that you would like to see covered in our week-long class and I’ll do my best to teach those skills. Be as specific as you can in your descriptions. I’ll provide you with handouts and either audio or video recordings of the important topics we covered during the week AFTER Bluegrass Week has ended. During the week, you’re welcome to record any of the class time instruction that you’d like, but I want everyone to be working on their listening skills and not reading any tab in class. I’m looking forward to meeting you at Augusta! In the meantime, keep listening to lots of recordings that feature the banjo players whose music you love to hear. Tom Adams is one of the great banjo stylists of his generation. 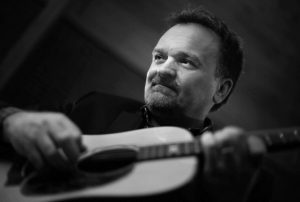 He first hit the national scene in the 1980s with first-generation bluegrass artist Jimmy Martin, then went on to tour and record with the Johnson Mountain Boys, Lynn Morris, Blue Highway, Rhonda Vincent, and many others. He has also played guitar with Bill Emerson and Michael Cleveland. Tom is a three-time recipient of the International Bluegrass Music Association (IBMA) Banjo Player of the Year award. This workshop will cover the nuances of proper left hand technique and why it’s so important to “open up” the left hand. Participants will also discuss the importance of the right hand, including dexterity and finding good tone. Using numbers instead of letters to follow songs opens up a whole new world, and participants will spend some time learning how to utilize this powerful technique. Ear training and how to listen differently to intervals and anticipate chord changes will be explored. And most of all, participants will learn a few tunes together and just PLAY! 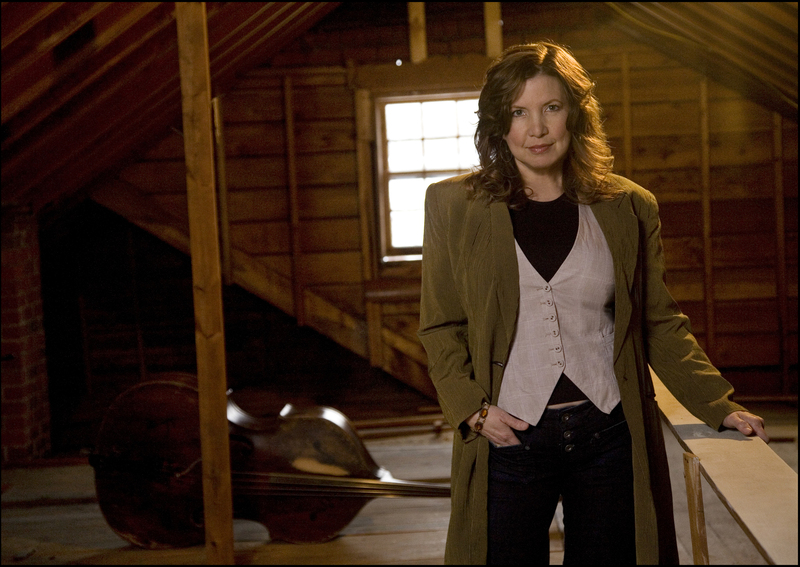 Seven-time IBMA Bass Player of the Year Missy Raines is one of the most respected and popular figures within the bluegrass community. Her bluegrass roots are deep and long-reaching, with touring and recording stints with first-generation legends such as Eddie Adcock, Mac Wiseman, Jesse McReynolds, Josh Graves, and Kenny Baker. She’s a former member of the Claire Lynch Band, the Brother Boys, and the acoustic duo Jim Hurst and Missy Raines. 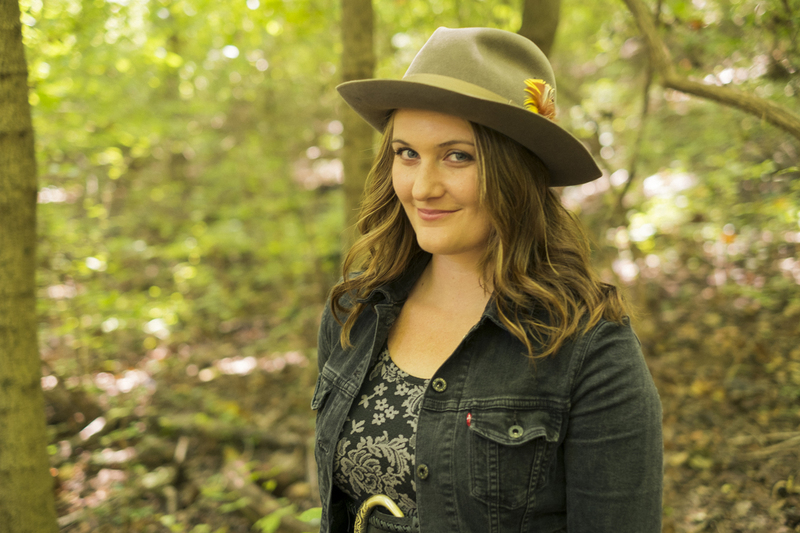 While Missy has proven herself as an iconic bluegrass instrumentalist, her newest release, Royal Traveller, (produced by Alison Brown) brings her into the spotlight as a songwriter for the first time. The album digs deep into Raines’ family life, and her upbringing in West Virginia. With a return to her traditional roots, Missy is currently touring full time with her own bluegrass ensemble. Missy also heads up the ArtistWorks Academy of Bluegrass School of Bass, a revolutionary interactive online music school. Born of fiddle-playing parents in Spokane, WA, Kimber Ludiker is a fifth-generation fiddle player who first picked a fiddle up at the age of three. She has won three championships at the National Old-Time Fiddlers’ Contest in Weiser, Idaho, and members of her family have won eight more. Kimber is a multi-instrumentalist who began playing the cello, mandolin, and guitar at an early age as well. In 2009, Kimber founded the all-female bluegrass/Americana group Della Mae. The International Bluegrass Music Association (IBMA) named Della Mae their Emerging Artist of the Year in 2013, and they earned a Grammy nomination in 2014 for their first album on Rounder Records. In 2015, Rolling Stone named Della Mae as one of “10 New Artists You Need to Know.” The band has traveled to 15 countries with the US Department of State, spreading peace and understanding through music. 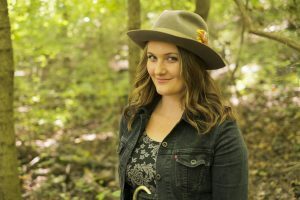 Besides working and recording with Della Mae, Kimber has performed on stage with the Black Lillies, Asleep at the Wheel, Dierks Bentley, Ed Helms, Peter Rowan, Mark O’Connor, Alison Krauss, Jim Lauderdale, Laurie Lewis, Darol Anger, Mike Marshall, the Travelin’ McCourys, the Del McCoury Band, and more. – Tunes! We’ll learn a couple of great bluegrass fiddle tunes to add to your repertoire. – Ear learning skills. The class will be completely taught aurally, but don’t worry I’ll be going at your pace and it’ll stick with you forever this way. – Shuffle bowing and bringing groove and rhythm to your playing. It’s the secret to sounding like a true bluegrass fiddler! – Kicking off a song. We’ll break down a couple of classic fiddle kick-offs and explore the fiddle’s role in song form bluegrass. – Transcribing. The pathway to getting ideas from your hero fiddlers is to learn to do what they do. We’ll learn the tools we need to make transcribing really improve your playing and we’ll transcribe some cool licks together. Bring your recording devices to keep track of what we’re learning. I’ll be setting some time aside at the end of each lesson to record everything slow for you. I want to tailor this class to you, so don’t be afraid to ask me at the beginning of the week if there’s a particular problem you’re having or skill you’d like to come away with, and we’ll make sure we take a look. 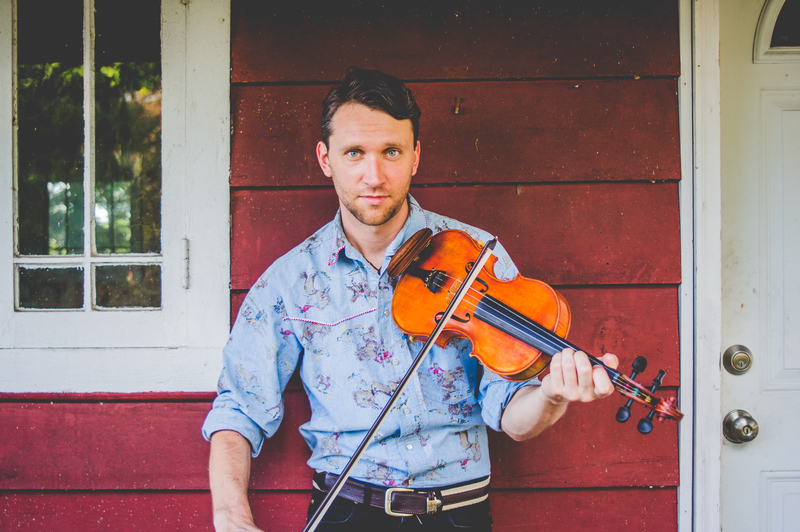 George Jackson is a Nashville-based fiddle player who has toured as a fiddler for hire with bands and artists such as Front Country, and Peter Rowan, and tours regularly as a part of the Missy Raines Trio. Born in New Zealand, George grew up in a musical family and heard bluegrass at the age of 14, immediately falling in love with the style he started trying to work out how to play it from recordings and a few mentors in New Zealand. 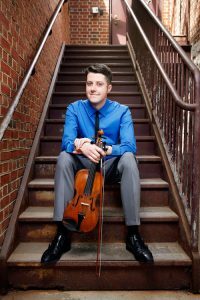 Moving to Australia as a 16-year-old, he soon won the Australian National Bluegrass Championship on fiddle and toured the country with a bluegrass band, The Company, playing many major festivals on the Australian circuit. As a recent resident of Nashville and the USA George has been working on an album of original fiddle tunes called Time and Place. Each track is written by George and named for its time and place of composition, tracing his journey from New Zealand to his new life in the United States, exploring ideas of authenticity and identity through fiddle music. In his free time, George brews his own beer and cooks Cajun food. He loves Swedish fiddle music and—fun fact—he was a competitive Highland dancer until the age of 21. -Rudimentary abilities like how to hold the fiddle and bow, how to tune the instrument, and the ability to play a handful of standard tunes (“Salt Creek,” “Red Haired Boy,” “Soldier’s Joy,” “Angeline the Baker,” etc.). The more you are prepared, the more you will take away from the class. To help us move steadily throughout the week, I only ask for patience and the willingness to learn. I plan on teaching a bunch of tunes during the week, but I want to concentrate on making you a better and more rounded fiddler. If there are any other topics or special requests, please let me know. I can be contacted electronically through pmcavinue@gmail.com and www.patrickmcavinue.com. I look forward to meeting you all. We’re going to have a blast! How do I know? FIDDLES ARE THE BEST! Patrick McAvinue, a native of Hereford, Maryland, is regarded as one of the most innovative fiddlers in the industry, able to translate the traditions of bluegrass, old-time and Irish music into a fresh, eclectic, forward-thinking language of his own. Highly in demand as a sideman, he has performed and recorded with musical icons such as Bobby Osborne, Del McCoury , Marty Stuart, Paul Williams and J.D. Crowe, Rodrigo Leao, John McCutcheon, Dailey & Vincent , and NEA fellow Billy McComiskey. Patrick and his fiddle have appeared at Carnegie Hall, the Kennedy Center, the Grand Ole Opry, and the Birchmere. Internationally, he has perfomed at the Festival Country Rendez-Vous in Crappone, France; the U.S. Embassy in Quito, Ecuador; the Dreikönigskirche in Dresden, Germany; the Koppernik Theatre in Prague, Czech Republic; and the Norsk Countrytreff in Breim, Norway. 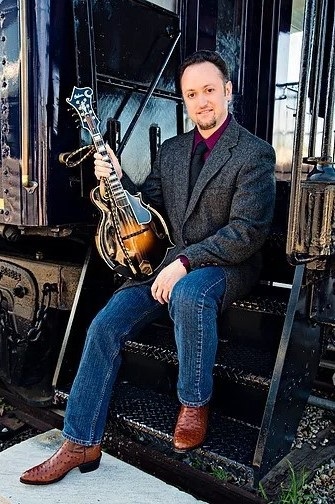 Patrick is the full-time fiddler with the Grammy-nominated country/bluegrass supergroup Dailey & Vincent, a founding member of Baltimore-based traditional roots quartet Charm City Junction, and a featured recording artist for the Patuxent Music recording label. He has released three self-produced recording projects, including the recent Charm City Fiddle Favorites, Vol. 1, sixteen solo fiddle tunes that embody Baltimore’s style of music. Patrick’s CD Rutland’s Reel was described as “a roller coaster of pure uncut fiddle nirvana” by Joseph Scott on the Country Music Pride web site. Recognition from Patrick’s peers includes his 2017 Fiddle Player of the Year award from the International Bluegrass Music Association (IBMA) and a 2015 IBMA Momentum Award, which is awarded to for up-and-coming instrumentalists. He was a featured artist for the third season of The Dailey & Vincent Show on RFD-TV, and in 2016 and 2017 his music was featured in the soundtrack of Sid Meier’s Civilization VI, a Firaxis/2K videogame. Patrick holds a Bachelor of Music degree in Jazz Performance from Towson University, where he studied under the direction of pianist Tim Murphy, trumpeter David Ballou, and violinist Dr. Jeffrey Howard. He currently resides in Nashville, Tennessee. The Beginning Guitar class will be focused on learning fundamental right- and left-hand techniques as well as common bluegrass/folk chord structures. The main purpose of the class is to help students learn rules and tips that transcend level of expertise and therefore create good practice habits while eliminating bad ones. Don’t worry about how much or how little experience you have on the guitar, just come in ready to learn and have a great time doing it. Steve Gulley is no stranger to bluegrass music audiences. The Cumberland Gap, Tennessee, native is a former member of Doyle Lawson and Quicksilver and founding member of the bands Mountain Heart and Grasstowne. He’s a multiple IBMA and SPBGMA award winner whose singing and songwriting in the bluegrass, traditional country, and gospel genres have taken him to 15 countries in Europe and South America as well as all over Canada. He has performed on the Grand Ole Opry nearly 90 times. After many years of being a part of so many great ensembles, Steve finally formed his own band, Steve Gulley & New Pinnacle, in late 2014. Numerous songs from the band’s three recordings have made their way onto various bluegrass charts, and four of them have reached the number-one spot. A former music director at the legendary Renfro Valley Barn Dance and Jamboree, Steve is the morning radio host on WDVX-FM in Knoxville. He is also co-owner of his own recording studio, The Curve, in his native Claiborne County, where he has produced many critically acclaimed, chart -topping bluegrass, gospel, and country recordings. 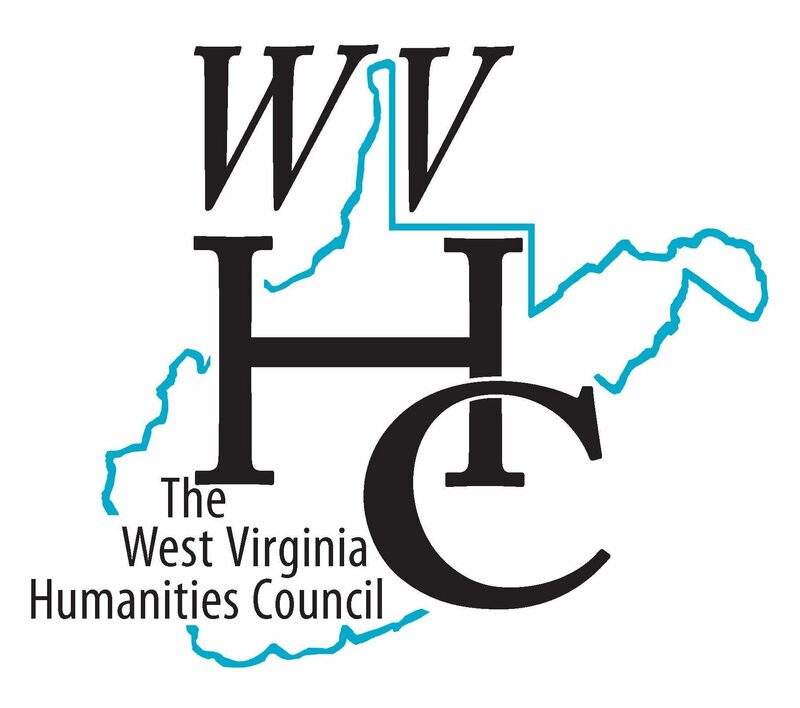 Steve is a member of the board of directors of the Arts In The Gap initiative at Lincoln Memorial University (LMU) in Harrowgate, Tennessee, in conjunction with which he proudly presents his monthly Cumberland Mountain Music Show in the Cumberland Gap Convention Center. He also hosts the annual Acoustic Music Week with Steve Gulley and Friends on the LMU campus. In 2016, in recognition of his long musical career and his help in the development of young and aspiring talent, Steve was awarded an honorary Doctorate of Music from LMU. Steve’s hope is that through his work here during Augusta Bluegrass Week, he can share his years of knowledge and experience with his students as well as the love that he has for the music and its wonderful community of people. We will work together to improve your bluegrass guitar skills and repertoire, as both a rhythm and lead player. We will learn standard songs and tunes, with a focus on strengthening your ability to play melodies, back up a singer, and craft an improvised solo. Topics will include finding melodies by ear, approaches for building melodic solos, and exercises to improve tone, timing, and technique. We will also work on rhythm playing, focusing on ideas to vary strumming patterns, bass runs, and chord voicings in ways that best support the song or soloist. Students should already be able to play a handful of fiddle tunes and bluegrass songs and have some experience playing in a group setting. Please bring a capo, tuner, pick, and a music stand. You may also want to have a notebook, a folder for handouts and a portable audio recording device so you have an easy way to reference new tunes, songs, and practice exercises. Avril Smith is an award-winning multi-instrumentalist and is widely recognized as a highly accomplished electric and acoustic guitarist and mandolin player. Avril currently plays guitar in several touring Americana, bluegrass and alt-country projects including the Grammy-nominated band Della Mae; Ms. Adventure, a trio featuring Vickie Vaughn (Patty Loveless) and Kimber Ludiker (Della Mae); and award-winning songwriter Becky Warren, with whom she has toured, opening for the Indigo Girls. 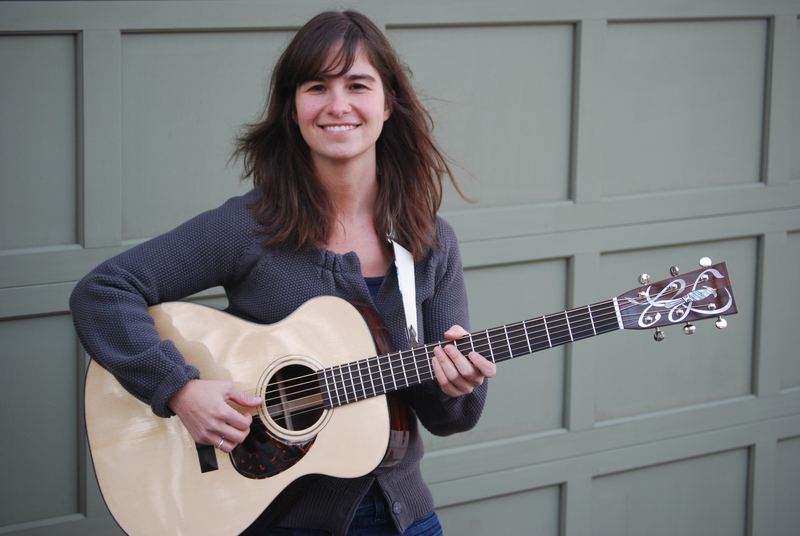 Avril has played with Emmylou Harris, Steve Martin, Pete Seeger, Hazel Dickens, Tom Morello, the Indigo Girls, Jill Sobule, Darol Anger, Dar Williams, and John Kadlecik, among others. I am looking forward to meeting you and helping you improve your bluegrass guitar skills! I intend to strengthen your bluegrass lead and rhythm playing, teach you a few new licks and tunes, and provide an intuitive, well-organized approach to practicing and making the most of your time with the guitar. This Advanced class is intended to push your boundaries, organize your approach to flatpicking, and give you the tools to take your playing to the next level. We will review some of the basics and move right along into some new tunes and lead breaks. My approach to music is simple and practical, and incorporates basic scales, theory, and ear training as well as common licks, tunes, songs and flatpicking vocabulary. We will take a close look at guitar technique and work on a few exercises to help your skills and improve tone, timing, speed and dexterity. We will also have lots of FUN playing music together! Coming into this class I expect you to have experience playing in a group setting, such as a band or a jam, and to know at least a few standard flatpicking tunes and bluegrass songs. Please at least know “Old Joe Clark,” in the key of G (capo 2) or A as we will use that tune for my “Speed Training” workout. Listen to and learn as much great bluegrass and flatpicking music as you can to immerse yourself in the style. Bring a guitar, flatpick, capo, tuner, paper and pencil for notes, and a folder for handouts. If you have a portable folding music stand that will prove helpful for following written handouts. I STRONGLY RECOMMEND YOU BRING A PORTABLE AUDIO RECORDING DEVICE to record examples to take home and work on. I do not expect you to master and remember every idea right there on the spot. I want you to take home and retain as much information as possible and a hand-held recorder is the best way to do that. National Flatpicking Champion Tyler Grant is an internationally recognized guitar virtuoso with an impressive resume as a session musician, bandleader, and sideman. 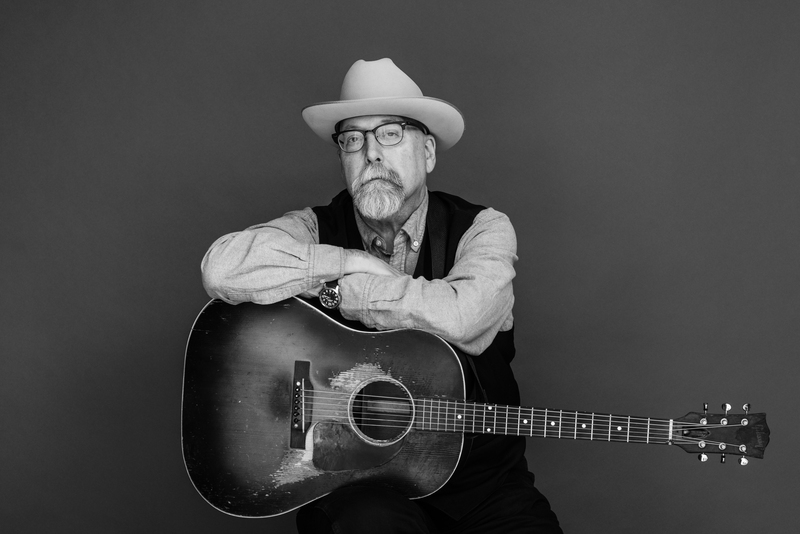 He has shared the stage with Tony Rice, Sam Bush, Tim O’Brien, Jerry Douglas, Chris Thile, Abigail Washburn, April Verch, Adrienne Young, and other luminaries. He performs regularly with his band Grant Farm, and hosts Meeting on the Mountain LIVE , an online and broadcast musical program based in Fort Collins, Colorado. The latest Grant Farm album, Kiss the Ground, an ambitious concept album that discusses the struggles of hardworking people in modern society, came out in 2016. That same year Tyler released Earth and Wood, a triumphant return to bluegrass. His most recent project is 2018’s Kanwha County Flatpicking, an album of guitar and vocal duets recorded with West Virginia flatpicker Robin Kessinger. Winner of the National Flatpicking Championship at Winfield in 2008 and Merlefest’s Doc Watson Guitar Championship in 2009, Tyler has also won the RockyGrass, Wayne Henderson, and New England flatpicking championships. 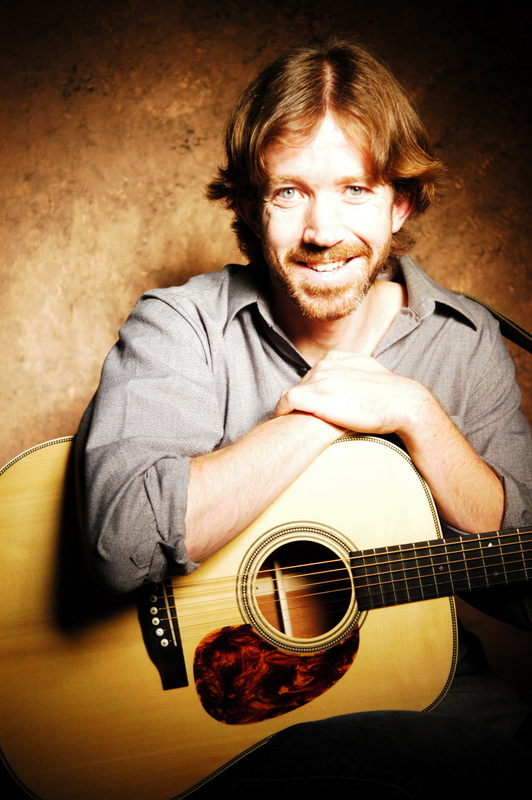 He has been featured in Acoustic Guitar, Flatpicking Guitar, and Bluegrass Unlimited magazines, and has taught at camps and workshops in the U.S., Canada, and England. This will be his twelfth year as an instructor at Augusta Bluegrass Week. Tyler’s web site is www.tylergrant.com. This course will focus on giving students good fundamental skills while learning some bluegrass songs on the mandolin. Picking exercises will be taught to give students a better foundation in their picking technique and to help them improve their tone and speed. Chord exercises and double stops will also be taught to help students learn the fretboard and get some practical skills they can use in their backup and solos. Along the way, we’ll look at some common bluegrass standard songs and learn how to play them in a couple of basic positions. We’ll then move those positions around a bit to other keys, and add some double stops and licks to give the solos a bit more flavor. The overall goal of the class is to help the beginning level student learn practical skills to play with others in jam sessions and get more enjoyment out of the instrument. Grammy-nominated mandolinist Matt Flinner has made a career out of playing acoustic music in new ways. 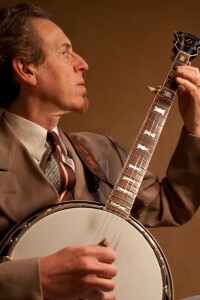 Whether it’s with his own Matt Flinner Trio or Phillips, Grier, and Flinner, or with the Frank Vignola Quartet, Darrell Scott, Steve Martin, the Ying Quartet, Tim O’Brien, Leftover Salmon, or the Modern Mandolin Quartet, Flinner’s style and compositional ability have established him as one of the most accomplished and musically diverse mandolinists in the world. Starting out as a banjo prodigy who was playing bluegrass festivals before he entered his teens, Flinner later took up the mandolin. He won the National Banjo Championship in Winfield, Kansas, in 1990, and won the mandolin competition there the following year. Matt nowtours regularly with the Matt Flinner Trio, which is known for its off-the-cuff compositional daring, writing music the same day it’s performed on most of their shows. He also tours regularly with the Modern Mandolin Quartet, which was nominated for three Grammy awards for their CD Americana in 2013. Over the last several years, Flinner has become known as one of the leading writers of instrumental music in the acoustic world, and his background in classical composition has led him into new avenues in both classical and string band music. 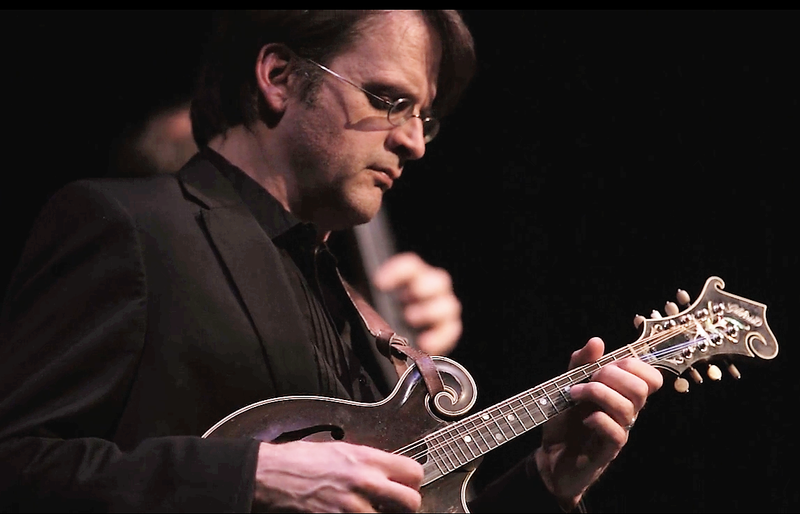 Some of Flinner’s longer form compositions have been performed by the Ying Quartet, the Nashville Chamber Orchestra, Chatterbird, the Expedition Quintet, and the Modern Mandolin Quartet. Flinner currently lives in Ripton, Vermont. Do you want to impress your bandmates with how these support their solos or beef up the existing rhythm? This is a fun part of the course and releases the power of your instrument. There are moments when a delicate touch (McReynolds, Steffey, Brock, etc.) is required versus a romping approach (Monroe). We’ll cover these areas and the eras to slip in said techniques. These techniques are the spice to your band or your solo project. Accents make the difference in your surroundings. This is yet another fun section of the week. What isn’t covered above will be filled in by questions/answers from the class. This is your week to absorb what you came to learn. Allow me to help you fill in the gaps. Winner of the 2009 and 2015 International Bluegrass Music Association (IBMA) award for Mandolin Player of the Year, Jesse Brock began his bluegrass career with his family band at the age of nine. Since then, he has worked with The Lynn Morris Band, Dale Ann Bradley, Michael Cleveland & Flamekeeper, Audie Blaylock & Redline, and—most recently—the Gibson Brothers. He first appeared on the Grand Ole Opry at age 11, and has performed on stage with Ricky Skaggs, George Jones, Willie Nelson, Alison Krauss, the Tony Rice Unit—and the list goes on. Jesse has been privileged to play all over the world, making his first of many trips to Europe in 1997, including a trip to Bulgaria to record with Lilly Drumeva. As an integral part of Michael Cleveland & Flamekeeper, Jesse shared in that band’s IBMA awards for Instrumental Recorded Performance of the Year (2009 and 2011) and Instrumental Group of the Year (four years in a row, 2007-2010). 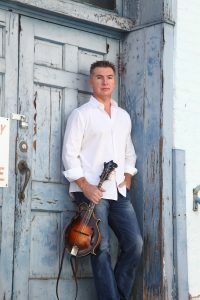 Jesse is also a solo artist in his own right, with an IBMA award-nominated CD Kickin’ Grass on Pinecastle Records, co-produced with his former bandmate Ron Stewart. In 2007, he co-produced Rick Lang’s album Look to the Light, which made it to the first round of the Grammys, the final round of the GMA Dove Awards, and the final round of the IBMA awards in 2011. Jesse is currently lives in Franklin, Tennesse. 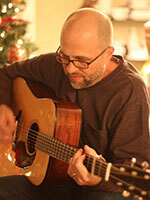 He books and performs with Mainline Express and also works as freelancer on mandolin, vocals, guitar, and bass. In this class we will work on enhancing and playing around with the melody to many bluegrass songs and instrumentals; finding the melody in different places on the fingerboard; position shifting; double stops; improving your slides, hammer-ons, and pull-offs; and well as building speed. We will learn many licks and ideas that can be applied in various ways that will lead you on the road to true improvisation. These tools will help you improve in all aspects of your playing! We will also cover playing rhythm with a band as well as your role in other ensembles, adding rhythmic variation, and groove. We will also cover how important it is to listen to music around you to find the groove and play tastefully. We will learn classic intros, turnarounds and licks to make your bluegrass playing sound more authentic and convincing. Your questions are always appreciated, and I encourage you to bring recording gear. I will supply you with your own booklet to take home with you. We will have written tablature for almost everything we do, but we will also be learning by ear, a very critical skill to develop. You will be playing your mandolin a lot in this workshop. Let’s have fun! For nearly four decades, Alan Bibey has made a name for himself as one of the most creative and technically gifted mandolinists in bluegrass and acoustic music. In 1982, at the age of 17, Alan won first place on the mandolin at the World’s Fair in Knoxville, TN. Since then he has appeared on the Grand Ole Opry, has been named Mandolin Performer of the Year four times by the Society for the Preservation of Bluegrass Music of America (SPBGMA)—most recently, this year—and has been an original member of great bands such as The New Quicksilver, IIIrd Tyme Out, BlueRidge, and his current band, Grasstowne. Grasstowne’s 2007 debut album, The Road Headin’ Home , went to #1 on Bluegrass Unlimited’s National Bluegrass Survey and stayed there for three months, remaining in the top ten for a year, and won an Album of the Year award from SPGMA. Grasstowne’s two most recent singles, “Gonna Rise and Shine” and “When Jesus Swings The Wrecking Ball,” have spent weeks on Bluegrass Today’s gospel airplay chart; both have reached the #1 slot. Alan’s tasteful innovations and pristine execution have earned him inclusion in Mel Bay’s book The Greatest Mandolin Players Of The Twentieth Century. He also has instructional books and videos available through AcuTab and Mel Bay. 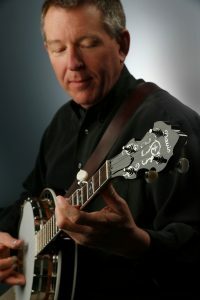 Alan has appeared on more than 100 recordings, including the all-star project The Young Mando Monsters and the IBMA-award-winning album Knee Deep In Bluegrass. His solo recording In The Blue Room was named top instrumental album by County Sales, and BlueRidge’s project Side By Side was nominated for a Grammy. In 2004 the Gibson company unveiled their Alan Bibey Signature F-5 mandolin, affirming his status as one of the most influential mandolinists in bluegrass and acoustic music. When not on the road with Grasstowne, Alan stays busy recording and producing in his studio, Maggie’s Crib, in Surfside Beach, South Carolina. Our dobro class will be focused on making your dobro sing out in a jam or on stage by the choices you make on many fronts. We will work on the most effective right hand picking techniques, melodic and harmonic choices in solo and back up roles, and how listening to others around you can make your contributions better. Scales, chords (minor, major, and 7ths), and blending rolls into your playing will be covered. We will also cover how to do harmonics, string pulls, slants, and hammer-ons and pull offs and how to integrate them tastefully. Your role as a supportive backup instrument will be explored from using your dobro to play rhythmic chomps like a mandolin to weaving in and out of a vocalist’s phrases like a good fiddler would do. I encourage you to bring a recording device to class. Make sure you have two metal finger picks and a plastic thumb pick and a “Stevens” or better yet a “Lap Dawg” style bar with your dobro. A dobro capo will come in very handy for jamming with others after class which is a very big advantage of the Augusta experience. Bring a list of your questions/technical desires and songs that you would like to build a solo to or get a fresh perspective on. We will mostly be learning without tablature and practicing ways to approach solo building using your ears to make decisions. I will have tablature too for certain songs and techniques. I will constantly be striving to give each member of our class individual attention to find the most effective ways each person can grow as a dobro player and all-around musician. My email address is MarkPanfil@hotmail.com, if you have any questions or concerns. Throughout the week, I hope to help you have fun playing dobro and getting the most out of your week with us. I’m really looking forward to seeing you and sharing some music in July in Elkins! Born and raised in Lackawanna, NY, Mark began playing five-string banjo at age 15, and took up dobro while in college. After graduating, he began teaching music in public schools and playing in the Buffalo-based bluegrass band Creek Bend. 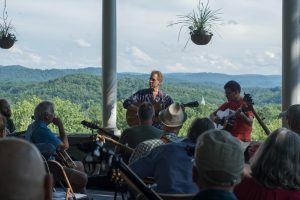 Mark has shared the stage and classroom with bluegrass heroes including Vassar Clements, Jerry Douglas, Bobby Hicks, Rob Ickes, Phil Leadbetter, Bryan Sutton, Chubby Wise, Mac Wiseman, and Sally Van Meter. Mark’s instructional book A Dobro Player’s Guide to Jamming is available from Mel Bay, and he has recorded a highly successful Murphy Method instructional DVD. Award-winning songwriter Joe Newberry will help participants focus on making their good songs even better, or get them started if they only have a trunk full of ideas. The workshop will use examples of different types of songs—narrative, chorus/verse, free-form—with an eye and ear toward simplifying the words to uncover the heart of the song. Through word play and writing, writing, and more writing, the songs in participants heads can become the songs on their lips! A frequent guest on Garrison Keillor’s A Prairie Home Companion, he was recently featured on the Transatlantic Sessions tour in the United Kingdom with fiddler Aly Bain and Dobro master Jerry Douglas. 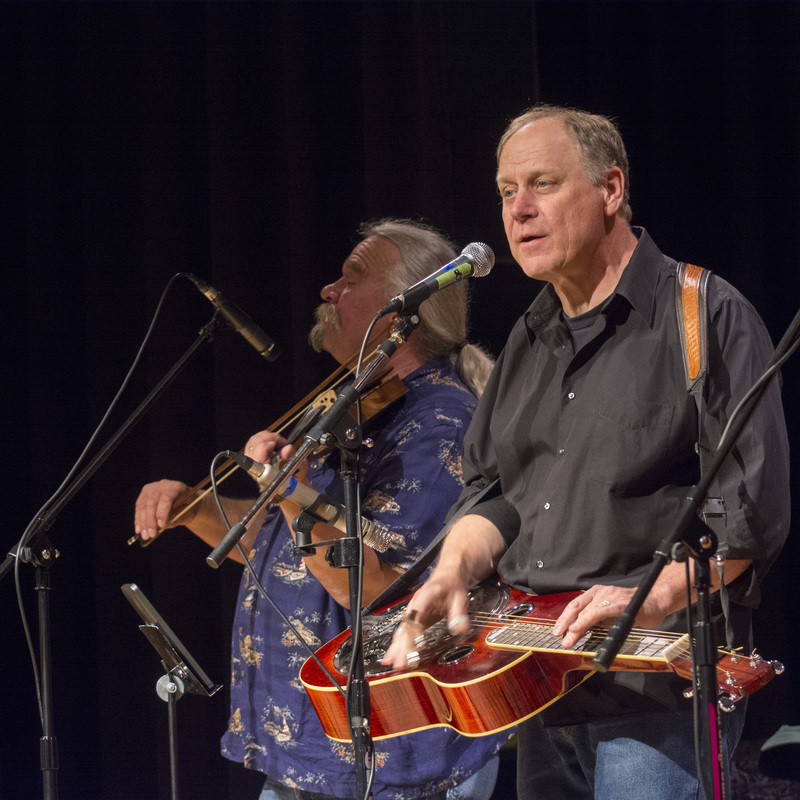 In addition to performing solo, Joe plays in a duo with mandolin icon Mike Compton, sits in the banjo chair with old-time music legends Mike Craver, Bill Hicks, and Jim Watson, and also performs with the dynamic fiddler and step-dancer April Verch. A noted teacher of traditional music and song, Joe has taught banjo, guitar, and singing at numerous camps and festivals, including Ashokan; Midwest Banjo Camp; American Banjo Camp; the Swannanoa Gathering; the Festival of American Fiddle Tunes; Pinewoods Camp; Vocal Week, Bluegrass Week, and Old-Time Week at the Augusta Heritage Center in Elkins, WV; the Australia National Folk Festival; the Blue Ridge Old-Time Music Week; and the Bluff Country Gathering. He was for many years the coordinator of Old-Time Week at the Augusta Heritage Center. 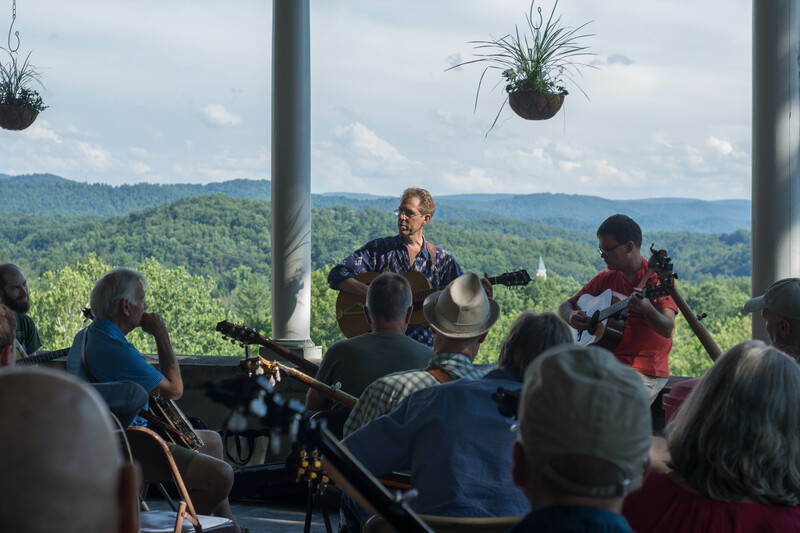 In this fun and informative class we will take a detailed look at bluegrass-style singing and how it has evolved since its inception with Bill Monroe. -Basic and essential vocal techniques to improve your singing skills. Join us for a great week of singing, learning, and fun! Growing up in West Virginia, Greg Blake was immersed in the sounds of old country, mountain bluegrass, and gospel harmonies from a young age. Moving to Kansas City, he started playing in more and more bands, eventually recording on twelve albums for the Bluegrass Missourians, Mountain Holler, The Harvest Quartet and more. He’s twice been nominated for the Society for the Preservation of Bluegrass Music in America’s (SPBGMA) Traditional Male Vocalist of the Year award, and five times won the SPBGMA’s Guitarist of the Year award, not to mention the Kansas State Flat-Pick Guitar Championship. 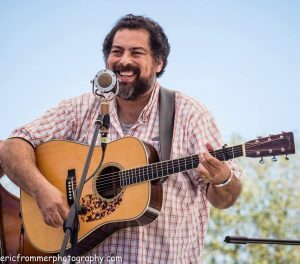 After moving to Conifer, Colorado, a bedroom community nestled in the foothills of the Rocky Mountain Front Range just a few miles southwest of Denver, Greg joined all-star progressive bluegrass band Jeff Scroggins & Colorado as the lead vocalist. With both Jeff and his son Tristan breaking new ground instrumentally on the banjo and mandolin, Greg stepped up to the plate as a guitarist, and crafted the band’s sound around his signature high tenor vocals. They’ve recorded four albums and were nominated for the International Bluegrass Music Association’s Emerging Artist of the Year award. On his debut album, Songs of Heart and Home, he’s joined by some of the best bluegrass talents today, including members of Jeff Scroggins and Colorado, plus guests like three-time IBMA Female Vocalist of the Year Claire Lynch, K.C. Groves (Uncle Earl), bluegrass icon Laurie Lewis, mandolinist John Reischman, fiddler Blaine Sprouse, bassist Mark Schatz, and dobro master Sally Van Meter (who also produced the album). But it’s his voice that rings out above them all, earnestly delivering songs of family, love and life in the hills. Now after raising a family and touring around the world, he’s poised to come into his own as one of the true Appalachian stars of modern bluegrass. It’s no small thing that Greg Blake was able to gather some of the best musicians and vocalists in bluegrass to join him on his debut solo album, and in his public appearances as well. A big man with an even bigger heart, he brings an uplifting joy to the music he knows and loves. Unfettered by genre divisions and unconstrained by tradition, he just follows his heart to find the deep mountain roots of the music, infusing everything he sings with a powerful, soaring spirit. Dede Wyland’s pure and compelling voice has enchanted audiences around the globe, and her driving rhythm guitar has powered the sound of many a bluegrass band, including the internationally acclaimed New York City-based group Tony Trischka and Skyline. 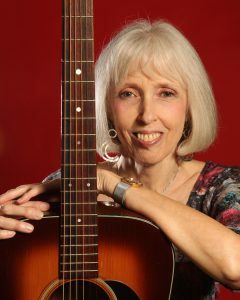 A feature article in Bluegrass Unlimited magazine said that Dede’s “gifts of vocal virtuosity, musical expression, and sheer positive force of personality have made her a valued presence in modern acoustic music.” She is often described as “a singer’s singer.” Dede’s recordings and concert performances with the cream of Washington’s bluegrass players earned her 12 Bluegrass Vocalist of The Year awards from the Washington Area Music Association between 1999 and 2014. A native of Wisconsin, Dede honed her bluegrass skills from 1975 through 1979 playing throughout the Midwest and Central states with the Milwaukee-based band ’Grass, Food & Lodging. 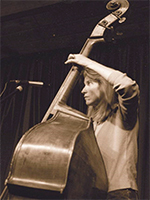 She then moved to New York, where she became a founding member of Tony Trischka and Skyline, one of the leading progressive bluegrass groups of the 1980s. She toured internationally with Skyline through the ’80s and during those years her clear, powerful voice made her a perennial nominee in the annual awards poll of the Society for the Preservation of Bluegrass Music in America (SPBGMA). As one of the few women at the time who was performing in a high-profile touring bluegrass band, Dede was a role model and an artistic influence for a generation of female bluegrass musicians who would shape the music in the years to come. After leaving Skyline in 1987, Dede moved to Tucson, Arizona, and then to the Washington-Baltimore area in 1990, performing regionally and concentrating on her work as a vocal coach. In 2017 she unveiled the Dede Wyland Online Video School of Voice. Her latest solo recording, Urge for Going (Patuxent Music 303) was released in 2018, joining 2010’s Keep the Light On (Patuxent Music 189). Dede’s career is the subject of its own chapter in Murphy Hicks Henry’s 2013 book Pretty Good for a Girl: Women in Bluegrass (University of Illinois Press).